Jack-Patrick, his mum, dad, grandmother and proud uncle, all visited the Cotswold Farm Park this afternoon. Difficult to know what excited Jack most. 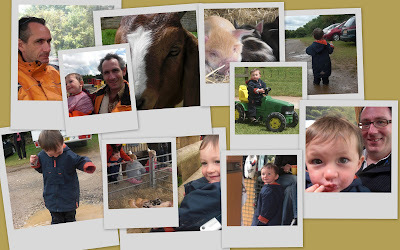 Meeting real pigs, stamping in puddles or riding on a mini tractor. For me, the piglets win every time.